I’m not going to lie, when I first sat down with this book, I knew absolutely nothing about it, aside from what could easily be surmised from the title, that it’s set at a school in Gotham City. And of course the obvious assumption based on those facts, is that there will be some sort of connection to Batman, at least at first. Admittedly, that last was a big part of the reason I picked this up. 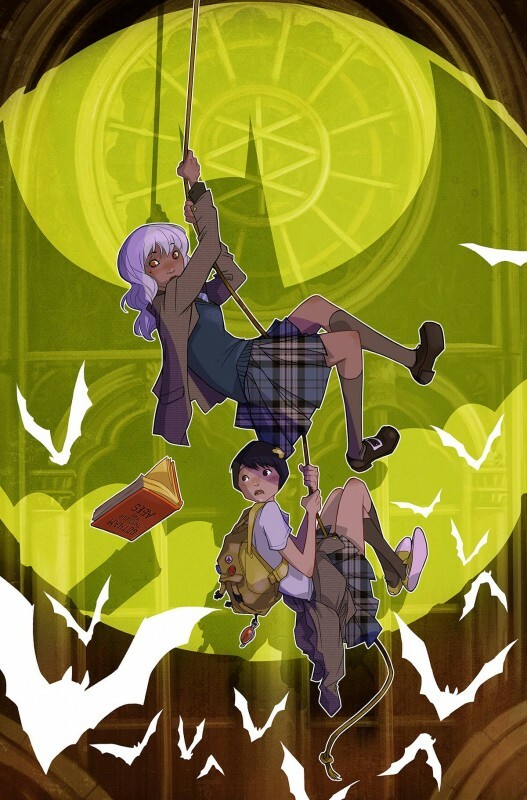 So, on the surface, Gotham Academy starts off as what i’d describe as a pretty typical-seeming high school life story (I’m assuming high school, though they don’t really specify how old the characters are within the issue). 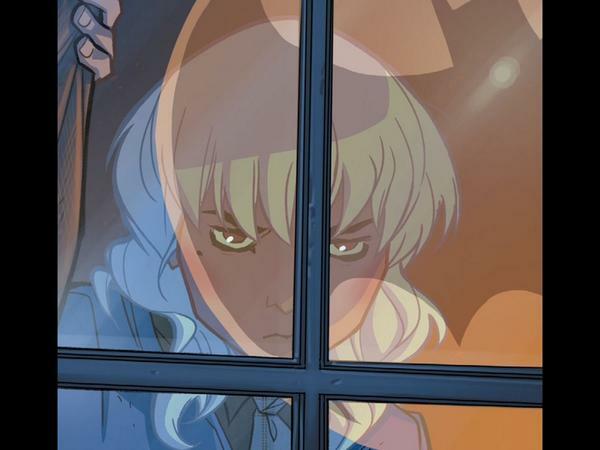 Our protagonist is Olive Silverlock who is just starting her second year at Gotham Academy and is portrayed as something of an outcast at the school. She doesn’t seem to be a girl with a lot of friends, but she does hame Maps. Maps Mizoguchi, described by Olive simply as her ex-boyfriend’s (well not ex yet technically) little sister, is a first year at Gotham Academy. My first impression of her would be an enthusiastic nerdy-type (she wears a d20 shirt, because subtlety) who absolutely adores Olive. There are implications of Olive being involved in something over the summer that has negatively affected her, but where things really start to get interesting is the school’s day one assembly, with guest speaker Bruce Wayne (obviously). Instead of listening to the speeches though, olive and Maps sneak off to explore and wind up having a dangerous misadventure atop the chapel’s (where the assembly is being held) bell tower. In the aftermath of this incident (in which Olive displays the requisite Gotham protagonist heroics) we learn of some sort of connection between Olive and Batman (shocking, I know). This is very much a first issue, just getting the premise out to readers and establishing some of the characters and what they are about. There is definite potential here for the series to get interesting. I’m definitely looking forward to seeing just what the Batman/Olive connection is (I’ve got my guess), and I haven’t even gotten into the talk of part of the Academy being haunted (use those cliches), which, given that this is Gotham, could get really weird.